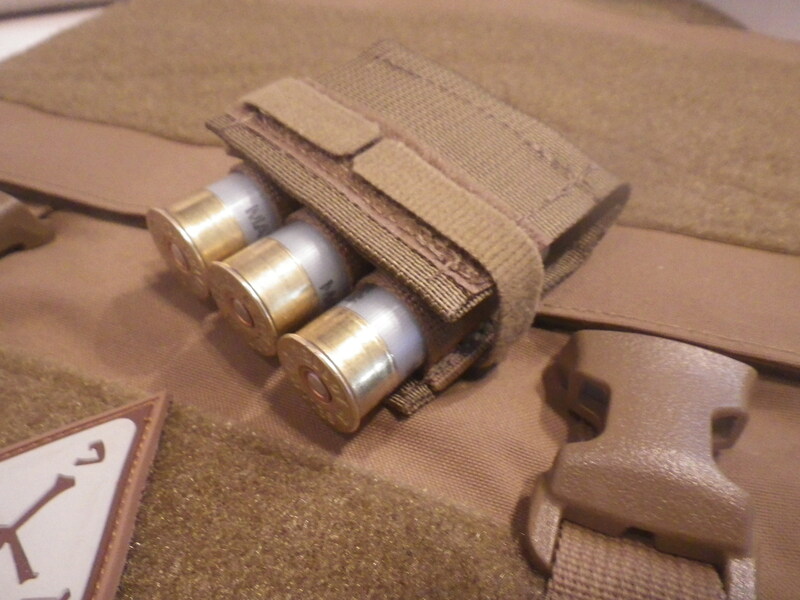 If you carry a magazine-fed long gun, it’s a snap finding good pouches. There’s a virtually endless selection. Carry a shotgun? You have about three choices: cumbersome pouches, even more cumbersome bandoleers, or cards. And most if not all of those cards use elastic that goes flaccid after use. 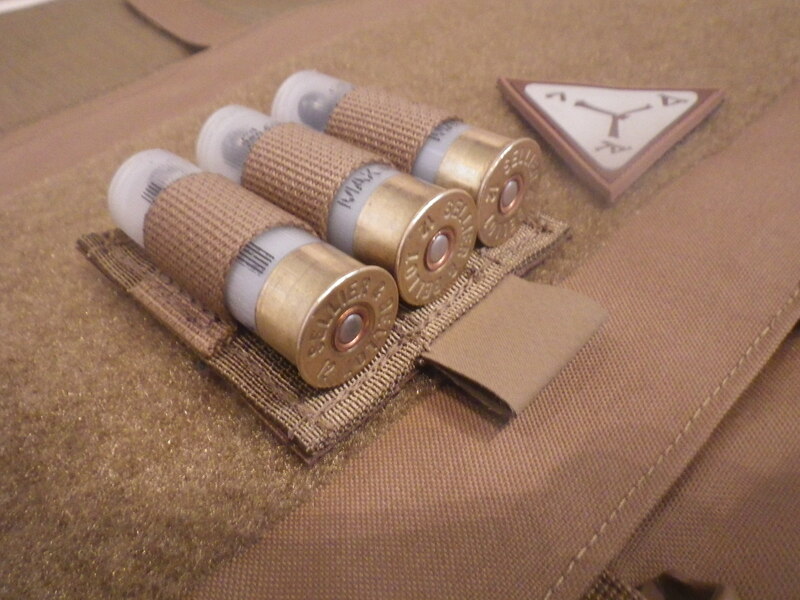 Not something you want retaining your ammo in a critical situation. With an eye towards fixing that, D-Rmor Gear has developed the Enhanced Shotgun Card. 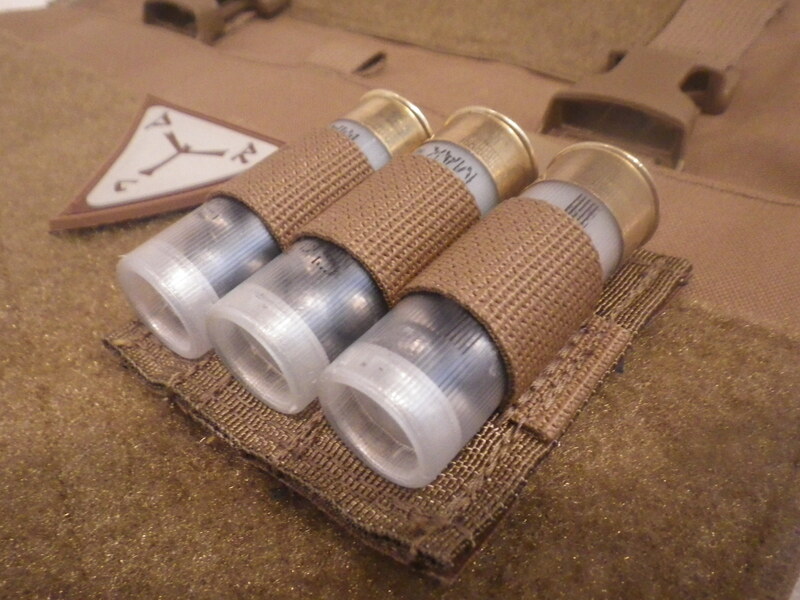 Built with the usual D-Rmor Gear attention to detail, the FragTuf(TM) Enhanced shotgun cards go far beyond the norm. Incorporating D-Rmor Gear’s new FragTuf(TM) technology, all critical seams boast dual-stitched mil-spec Nylon AND mil-spec Kevlar thread. 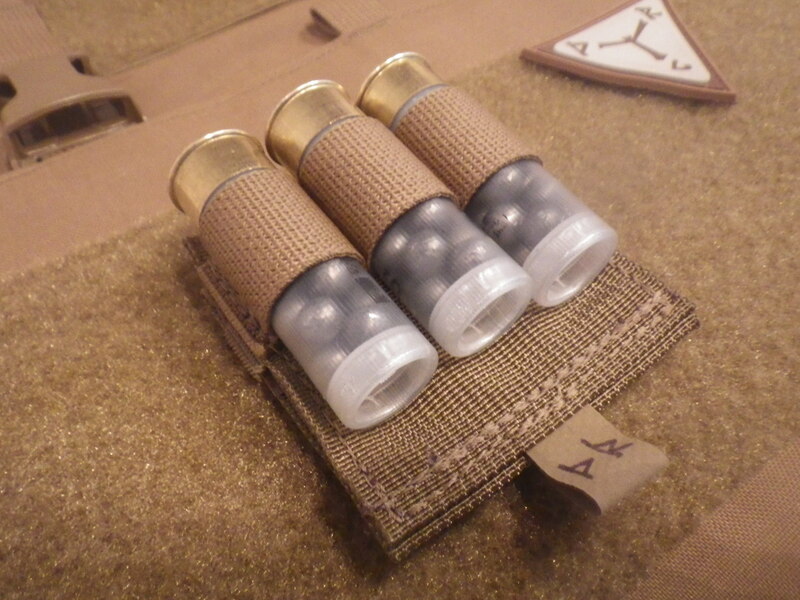 The shotshells are retained, not with wimpy elastic (that WILL lose its tension in short order), but with MIL-A-A-55301 IR/Berry compliant webbing. A Trelleborg AB HANK pull-tab completes this rugged ensemble. The hook-covered rear surface allows mounting to any loop-covered field. And as if all of that isn’t enough, the Enhanced Shotgun cards come with an unlimited, lifetime, fully-transferrable no-bs guarantee. If you break it (and please tell us how you managed that! ), just get it back to us, and we will repair or replace at our discretion. Initially available in 3-, 5-, and 7-shell configurations, the D-Rmor Gear Enhanced Shotgun Card can be had in Black, Coyote, and Multicam colorways. Normally priced at $15, $18, and $22 respectively, get yours at the pre-sale price of $12, $15, and $19! (Pre-sale good through February 1st). Get your D-Rmor Gear Enhanced Shotgun Cards, and start showing your shotgun some love! Now until 1200 hrs EST February 1st, take 10% off every single product offered by D-Rmor Gear (does not apply to pre-sale offers). Send an email with the code SHOT2019 in the subject line, along with your order. After five years of testing, design, retesting, and redesign, the wait is over: announcing the D-Rmor Gear Enhanced Weapons Sling. 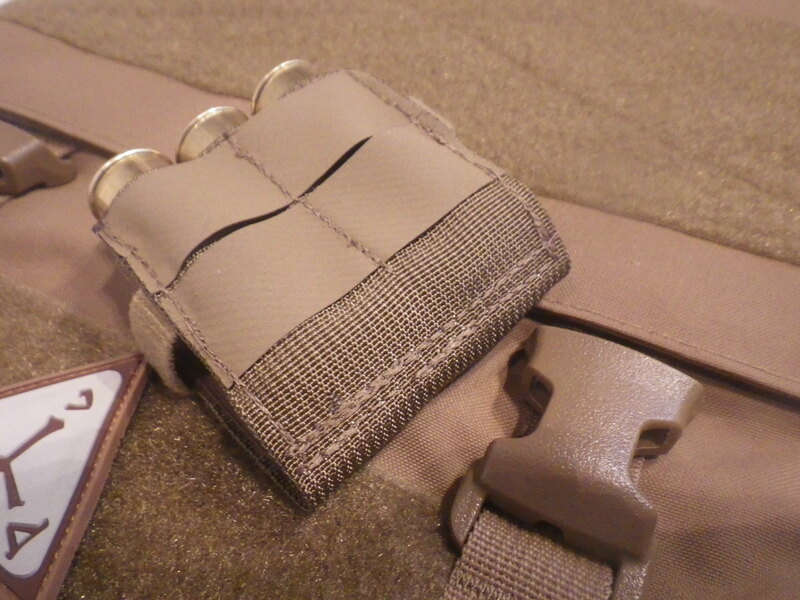 -Convertible 2-1 with two onboard methods, with emergency bailout Ghillietex buckle or Nexus D-ring for HK clips. 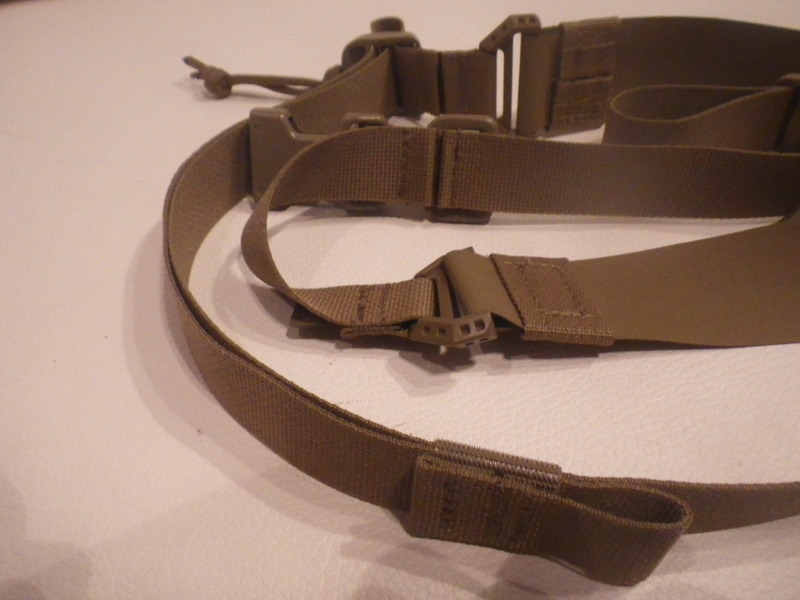 -Primary body made from MIL-A-A-55301 IR and Berry compliant 1″ webbing to be compatible with ALL end-user sling hardware. -24 inches of built in adjustment, with 13″ of quick adjust. -Unconditional, no-BS lifetime guarantee, repair or replace. Finally, in spite of the premium materials, the extra time required to build, and the innovation, the AE-SIR was intended to be as affordable as possible. You don’t have to break the bank to equip all of your long guns with what we believe is one of the best slings for the money. Available in Black, Coyote, Multicam Original, Multicam Black, Multicam Alpine, ATACS-AU, ATACS-FG, Kryptek Typhon, Kryptek Mandrake, and Kryptek Highlander, with more patterns planned. Pricing is normally $44, and $51 (for the XL and Padded versions respectively) per sling, but limited pre-sale price is $39 and $46 per sling (pre-sale ends Feb 1st). Proudly handmade in America by dedicated craftsmen, committed to excellence. In honor of SHOT Show 2019, D-Rmor Gear is proud to announce several upcoming new products, and a new direction for D-Rmor Gear as a whole. For nearly five years, we have endeavored to keep up with the demand for our Original Spall Guards and Extreme Duty Plate Backers. New designs were created, but simple demands of time prevented us from bringing them out as quickly as we would have liked. Last year, we released the revolutionary C2 armored pelvic concealment holster, and the response was gratifying. This year, we are even more excited to announce nearly half a dozen unique and highly innovative products, some that have been in development for many years. While we will still be offering our Original Spall Guards and soft armor, they will no longer be our sole focus. And as always, we thank our patrons, whose loyalty and input have made this possible.